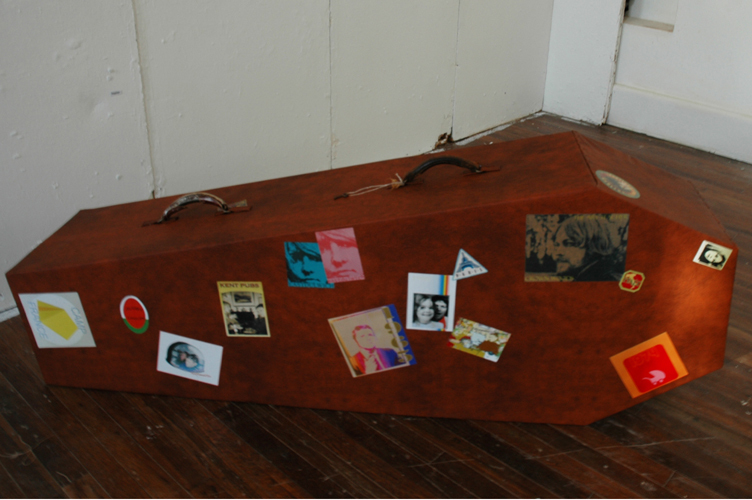 life-size coffin shaped suitcase containing ticking metronome. Constructed from hardboard and timber, upholstered with leatherette and found leather suitcase handles. Travel stickers created in Photoshop from a life-time of family photographs and digitally printed.